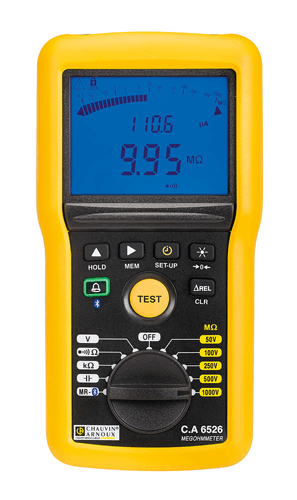 This new range is equipped with various insulation test voltages ranging from 10 V to 1 kV. The dynamic range for insulation measurement extends up to 200 GΩ, remaining compliant with the IEC 61557 standard up to 2 GΩ. In addition to the manual mode, there are also new insulation test modes such as Lock mode, Timer mode and calculation of the PI & DARratios. 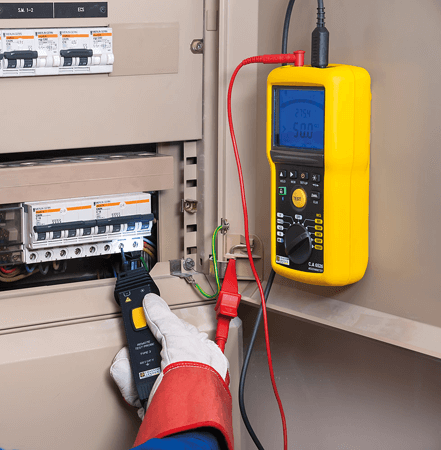 The continuity test function, which complies with the IEC 61557 standard (200 mA current), is enhanced on certain models with a 20 mA test current, with the advantage of prolonging battery life in normal use. This function is equipped with activefuselessprotection if a voltage is present. On most of the models in the C.A 652X & C.A 653x range, you can activate an alarm threshold, choosing between 2 fixed thresholds and 1 customizable threshold for each measurement. Furthermore, the ΔREL function can be used to display the measurements which differ from a reference measurement. The display shows the value of the variation and the percentage in relation to the reference. DMM functions are available with measurement of voltage up to 700 V, frequency up to 800 Hz, resistance up to 999 kΩ and capacitance up to 10 µF. Analysis of the measurements is facilitated by storage of 300 measurements on the instrument. The memory capacity is extended to 1,300 locations for the versions with Bluetooth® communication. The Megohmmeter Transfer (MEG) software module, delivered as standard with the communicating versions, allows remote test activation with real-time graphical display and transfer of the stored measurements onto a PC. The values are then displayed by type of measurement. The DataView® software suite (option) generates customized measurement reports which may include the location of the site and the contact details of the operator.